There’s nothing more annoying, irritating and embarrassing than a rash, especially when it’s itchy and you have no idea how you got it. If you’ve recently started the ketogenic diet and noticed this unwelcome side effect, it’s probably not a coincidence. Some (but not all) new keto dieters develop what’s known as the “keto rash,” but don’t worry because it’s completely harmless and easy to get rid of. If you haven’t experienced the keto rash, then it might be helpful to take preventative measures to make sure you don’t get it. We’ll cover that and everything else you need to know about the keto rash in this article, including how to make it go away. Research shows that the keto rash is a rare inflammatory skin disorder known as prurigo pigmentosa (1). Sounds scary, right? If you consider that eczema and dermatitis are also skin disorders, then it doesn’t seem as bad because these are all treatable conditions. Scientists aren’t sure what causes it, but they know that keto rash tends to start on the back, neck, and chest (especially in the middle of the chest and back). The disease dates back to 1971 where it was first reported in Japan (2). Since then, approximately 300 people have been diagnosed with the skin disease in Japan while fewer than 50 cases have been reported outside of the area. So you can see that it’s normally a pretty rare condition. Research shows that the disease is more likely to occur in younger females around the age of 25 and it tends to be more consistent on the middle of the body. Rarely does it travel to the limbs and there are no reports of the disease affecting mucous membranes, such as the nails or hair. One study found that women were twice as likely to be affected and the rash could come back every two to three years, which is why it helps to know how you get it and how to prevent it (3)! 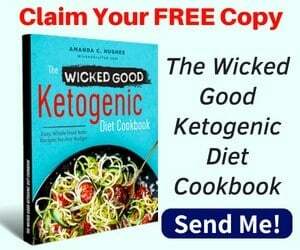 Although there is no known cause for the keto rash, some studies have shown that it might be triggered by excessive ketone production, such as when you follow the ketogenic diet (4). Specifically, research shows that inflammation causes the rash due to neutrophilic infiltration, which means that there is an accumulation of a type of white blood cell that is released at the sites of inflammatory reactions (5). This can be caused by many natural, environment, diet and lifestyle factors, such as low-carb dieting, fasting, stress, prolonged exercise, and nutrient deficiency. If you’ve just started to follow a low-carb diet, then you might experience the keto rash, according to one study (6). The study indicated that any dietary changes or any diet that causes a rapid amount of weight loss at once may trigger the rash. 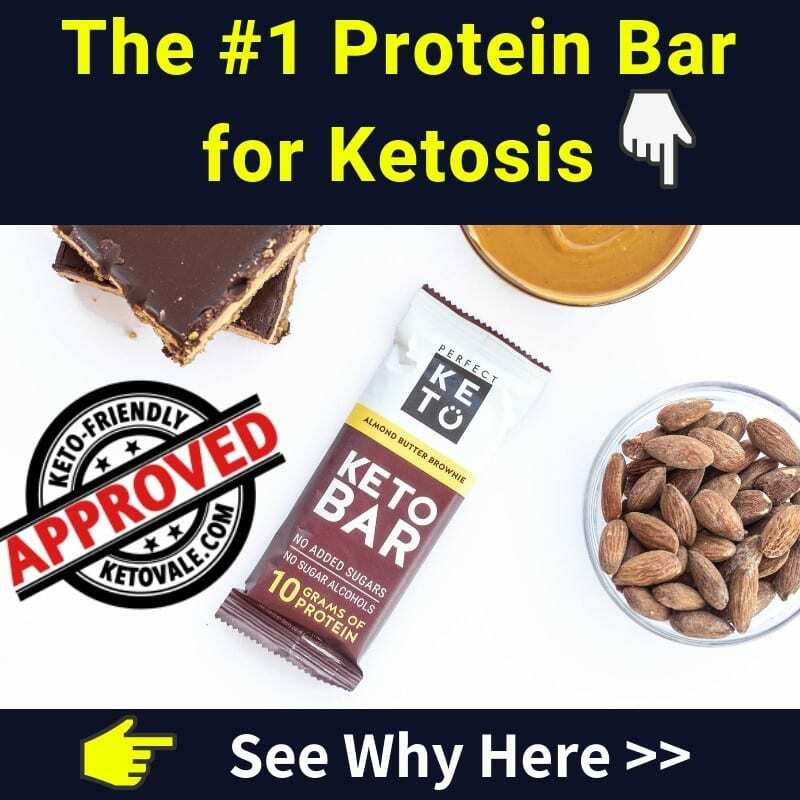 As indicated above, the ketones that your body makes when you enter ketosis may cause inflammation in the area surrounding your blood vessels, and this may trigger the rash. Additionally, when you first enter ketosis, it causes you to make more acetone than usual. Acetone has no real purpose in the body, so it is usually excreted via the skin when you sweat. This could cause skin irritation and provoke a rash. According to one study, eight of 16 patients showed a positive relationship between the keto rash and fasting (7). The study authors concluded that fasting that initiates ketosis may also be linked to the keto rash. So if you practice intermittent fasting while on the ketogenic diet, then you might experience the keto rash. If your diet is so restrictive that you become deficient in some vitamins or minerals, then you might experience a rash due to a lack of healing nutrients in the body. Rashes are known to pop up when you eat foods that you aren’t aware that you’re allergic to. You could also develop a rash from coming in contact with certain allergens even without ingesting them. According to one study, some patients experienced the keto rash after they irritated their skin due to friction from clothing, body scrubbing or bandages. Several patients got the rash after they were exposed to hot weather or experienced excessive sweating (such as during exercise). A few patients even developed the rash after experiencing emotional stress. What Keto Rash Looks Like – What Are The Symptoms? A keto rash looks a lot like a rash that you would get from eczema or dermatitis. It’s characterized by itchy, raised skin bumps that range in color from light pink, red and brown. Although the rash is uncomfortable and embarrassing, it’s not life-threatening. The outbreak usually forms on each side of the body in a symmetrical pattern that looks like a net. During the early stages of the rash, the rash is usually characterized by skin lesions that are light pink and look like scratch marks. Fully developed lesions occur when the sores start to fill with fluid and become infected. Most of the time, the rash will clear up on its own. You can tell when your rash is healing because it will start to recede and crush over a bit. The lesions may also get darker. When the rash is near the end of its life, it may cause dark spots that look more like freckles than a rash. This hyperpigmentation might last long after the rash clears up (8). Although each case of the keto rash is different for everyone, most people find that it doesn’t last for very long. It usually tends to pop up when you first enter ketosis; however, the rash has been known to last longer than that for some people. In other words, it may last for a few weeks or it may linger around for several months or even years. Most people find that the rash goes away after their body gets used to being in ketosis. Keep in mind that there is no guarantee you will get the keto rash either because it doesn’t affect everyone. Of course, the best way to treat the keto rash is to prevent it from occurring in the first place. If you get it, then the best thing you can do is to shorten the duration of the rash and reduce your symptoms by using some lifestyle hacks. When you first notice the keto rash, the best thing to do is nothing at all. Sometimes letting the rash run its course and go away on its own works well. 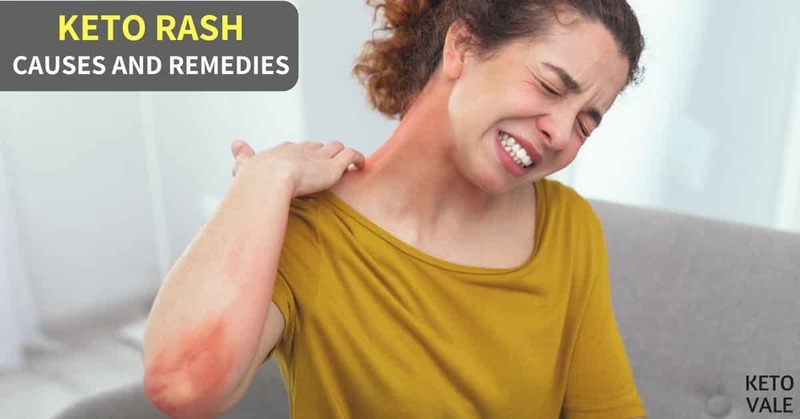 However, if the rash doesn’t start to go away on its own or show improvements within two weeks or so, then you may want to try some other tips on this list. Because the keto rash appears to be triggered by low-carb diets, fasting, and the production of ketones, you might want to incorporate a small amount of carbs back into your diet to see if you can relieve your symptoms. Try eating more non-starchy vegetables, such as kale and spinach, as these include healing nutrients such as antioxidants that can help reduce your symptoms naturally. You’ll want to balance your carbohydrate intake to make sure you’re not kicking yourself out of ketosis. If you haven’t noticed a change in your rash after increasing your carb intake for a few days, then try increasing your intake so that you intentionally stop ketosis for a few days. This should give your skin enough time to heal. 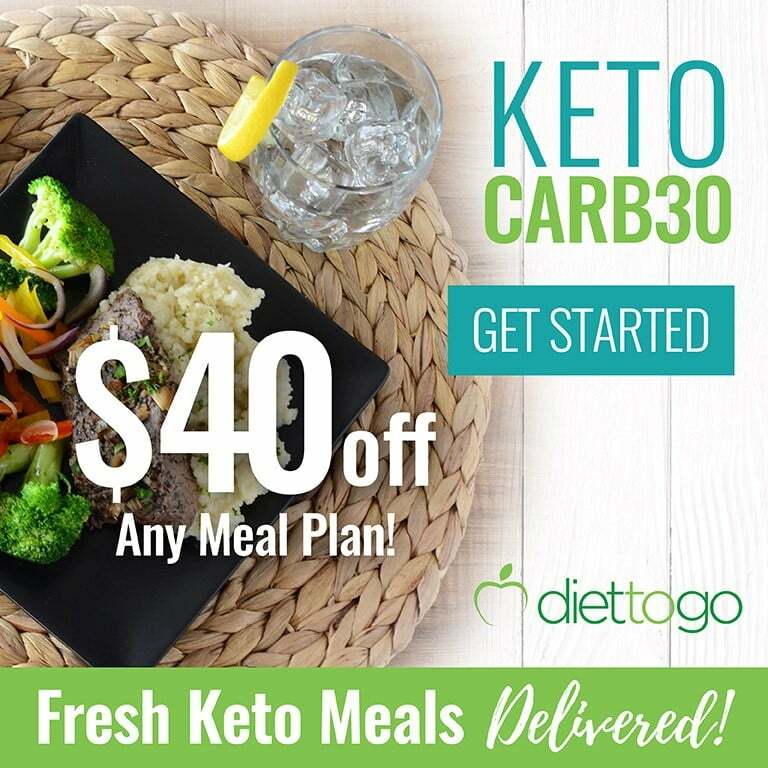 Then you can use these ways to get back into ketosis and continue with your diet. If the rash comes back, then it probably means that you’re sensitive to ketones and you’ll need to find your “sweet spot” when it comes to how many carbs your body can handle. As mentioned above, the keto rash seems to be triggered by fasting so you may want to give up your intermittent fasting regimen until the rash goes away. Some rashes are caused by a reaction to food, so you might want to try an elimination diet to see if you can pinpoint the foods that are problematic for you. For example, some people are allergic to dairy, eggs, fish, shellfish, nuts, or peanuts. Try an elimination diet for two weeks and remove these foods from your diet. If your rash clears up, then you know it’s one of these foods that is triggering the rash. Gradually introduce these foods back into your diet one at a time and track your progress. Don’t introduce more than one food per week. That should be enough time to determine which one is the problem. The ketogenic diet can be very restrictive. This means that you might be prone to nutrient deficiencies if you don’t plan your meals well. If you want to learn more about what supplements to take on keto, check our keto supplement guide! As some rashes tend to occur due to a lack of certain vitamins and minerals, you might want to try adding a whole food multivitamin to your diet. Find one that is sourced from lots of whole fruits and vegetables instead of synthetic, manmade components. It might also help to take a probiotic to help enhance your immune system and prevent the rash from getting worse. Studies show that probiotics can help heal skin conditions by reducing inflammation and boosting the immune system (9). Other good anti-inflammatory supplements to take include turmeric, and bromelain. This is easier said than done. Most people can’t completely avoid stress, but you can control how you react to it. Believe it or not, you can get a rash from emotional or physical stress. It helps to find healthy outlets for your stress so that you don’t wear it on your skin (literally). Of course, excessive sweat has been known to worsen rashes, so exercising intensely is out of the question. Try learning some breathing techniques or taking a yoga class. When you do exercise, wear loose fitting clothing that doesn’t irritate your rash and make sure it’s moisture wicking. Remember that cotton is rotten! The best way to treat any condition is to prevent it from occurring in the first place. This can be done by transitioning into the ketogenic diet slowly. For example, if your current diet includes lots of carbs, then try eliminating one food at a time, such as bread. For a few weeks, try eating gluten-free. Then get rid of starchy vegetables, lentils, legumes and whole grains. Make sure you eliminate one food group at a time so that your body has time to adjust to a low-carb diet. Start incorporating more healthy fats into your diet to help your body get ready for the switch. Once you finally enter ketosis, your body should be well prepped. It also helps to be on the lookout for skin rash symptoms. If you notice that your skin is dry or itchy after you first enter ketosis, then back off and eat a few more carbs until it goes away. Drinking lots of water can help flush toxins that might be triggering the rash while keeping the area dry and clean can help with itching. It also helps to remove skin irritants from your daily hygiene routine. You might need to find chemical-free body care products and introduce more anti-inflammatory foods into your diet to prevent the onset of a rash before starting the keto diet. The keto rash might sound scary, but it’s no different than having a rash from eczema or dermatitis. It only happens to a small number of people and normally will go away on its own. It’s an uncommon side effect of keto. While researchers aren’t exactly sure what causes it, there are a few known triggers such as the production of ketones, fasting, stress and nutrient deficiencies. Low-carb dieting also appears to be linked to the keto rash. Some people find that the rash goes away as quickly as it comes. Others suffer with it for a long time. There’s no real way to determine how long your rash will stay for, but there are things you can do to treat it. For example, you can increase your carb intake until the outbreak goes away, try chemical-free body care products, and avoid stress and excessive sweating. You can also incorporate anti-inflammatory supplements and foods into your diet to see if it will go away on its own. If not, you might want to see a doctor and seek more treatment.